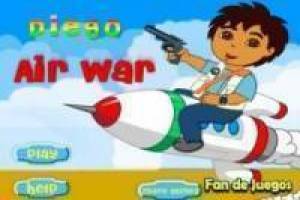 The protagonist of the children' s series Go, Diego, Go, also known to be the cousin of the famous Dora the Explorer, has prepared a new adventure in which we will fight against the aliens. Spacecraft from another planet are invading the earth and our friend Diego will be in charge of protecting us all. It has been mounted on a rocket and armed with a gun will try to kill all our opponents. You must use the PC mouse to aim and shoot the enemies that cross your path. Collect the coins that you are finding to add points to your marker and be able to improve your weapons and vehicle in the next rounds. 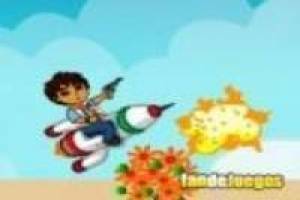 Enjoy the game Diego vs aliens, it's free, it's one of our Dora the explorer games we've selected.